My primary goal is to continue to expand my knowledge in the ever growing field of information technology. Conduct internal vulnerability scanning and penetration testing. Provide incident response upon discovery and verification of malicious infections. Proactively analyze and monitor the University systems and networks. Coordinate with other divisions of information technology for security assessments. Assist with evaluating and reporting of new software for campus usage. Research latest trends in security for information technology. Developed and maintain numerous applications for use in an enterprise environment, including UNIX and web based applications. Develop and deploy Windows operating system images. Assist and work closely with a team providing tier I and tier II technical support for all campuses of the university. Removal of malicious software. Software and hardware troubleshooting and diagnostics. Developed a number of applications, ranging from web to mobile platforms. Experience with multi-tasking in a busy environment. Worked closely with and trained small teams. Completed team building activities and training. Technology : Experience conducting internal vulnerability scanning and penetration testing. Incident response experience related to both security and non-security incidents. Experience in configuring and hardening Linux file and web servers. Experience in enterprise application development and support. Experience building responsive web-based and mobile applications. Customer Support : Excellent oral and written communication. Experience providing customer service through telephone, email, text message, instant messaging and social media platforms. This title generator is great for creating academic essay titles. Generate a random academic essay title using one of the many given formulas. Simply give your topic and enjoy the results. View recent titles made and view the hundreds of words being used in the application. Developed an ATV community to be used for offering support, sharing modifications, and offering a place to share owner's manuals for easy-to-access download and viewing. In the first month, received over 2,500 posts and 150,000 website hits. Originally developed on Simple Machine Forums (SMF), The Quad Connection is now migrated to the SMF fork, Elkarte. Completed advanced coursework in mobile application development. Familiar with both Android and iOS frameworks. Successfully applications built using Apple XCode (Objective C) and Android Studio, as well as Unity3D. Understanding of secure server-client communications. Successfully implemented an augmented reality mobile application using the Qualcomm Vuforia libraries and Unity3D. Experience privately developing both mobile and computer video games using the Unity3D game engine. Basic to complex game design optimized for both mobile and browser compatibility. Developed advanced graphical user interfaces for mobile devices through desktops, all resolutions. Server-client communication with Linux-based web servers, including downloadable game content, high scores, user credential management, profile statistics and shared/serialized level data. Coursework and experience in software development and engineering, which includes the agile development lifecycle. Experience in working in a Scrum development environment. Coursework and familiarity with object oriented languages, including C++ and Java. Data structures and algorithms studied, including systems algorithms such as neural networks and search methods. Familiarity in .NET frameworks, specifically Visual Basic in Microsoft Visual Studio. Upper Level Computer Science Courses Studied : Web Programming, Mobile Application Development, Data Structures and Analysis, Programming Languages, Software Development, Software Engineering, Information Security, Management of Information Security, Intelligent Systems, Embedded Systems, Object Oriented Systems, Operating Systems and File Organization. 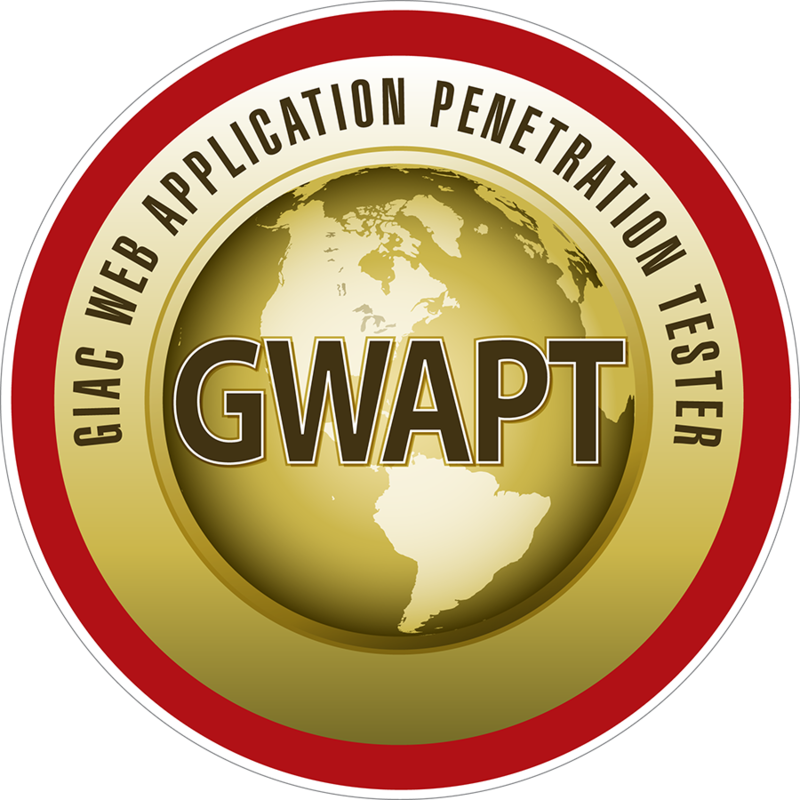 This certification measures an individuals understanding of web application exploits and penetration testing methodology. Web applications are one of the most significant points of vulnerability in organizations today. Web app holes have resulted in the theft of millions of credit cards, major financial loss, and damaged reputations for hundreds of enterprises. The number of computers compromised by visiting web sites altered by attackers is too high to count. Check your web applications for holes before the bad guys do. Certification ensures knowledge of key elements, concepts and terminology used in the ITIL service lifecycle, including the links between lifecycle stages, the processes used and their contribution to IT service management practices. Certification validates foundational, vendor-neutral IT security knowledge and skills. 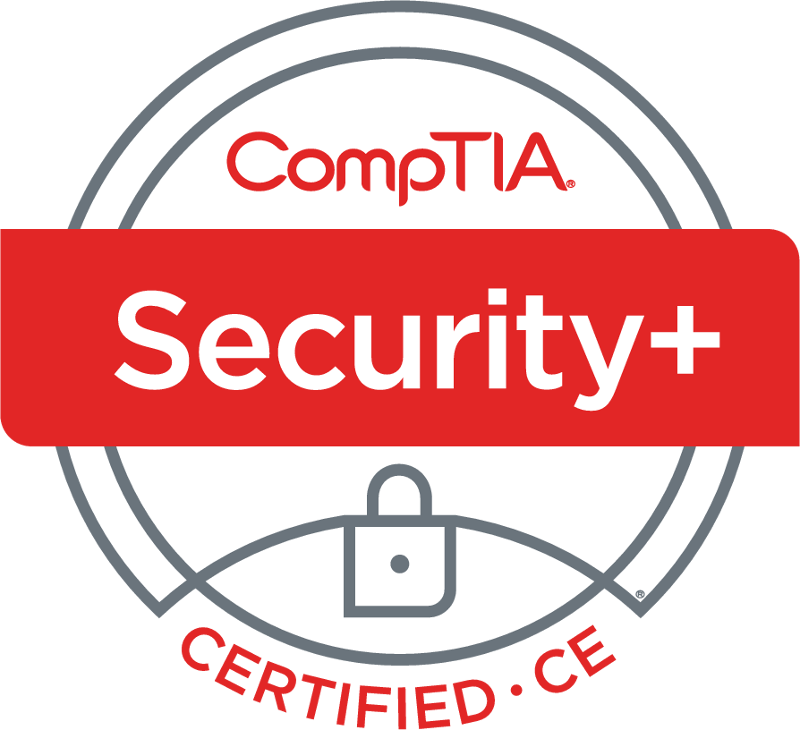 CompTIA Security+ certification covers network security, compliance and operation security, threats and vulnerabilities as well as application, data and host security. 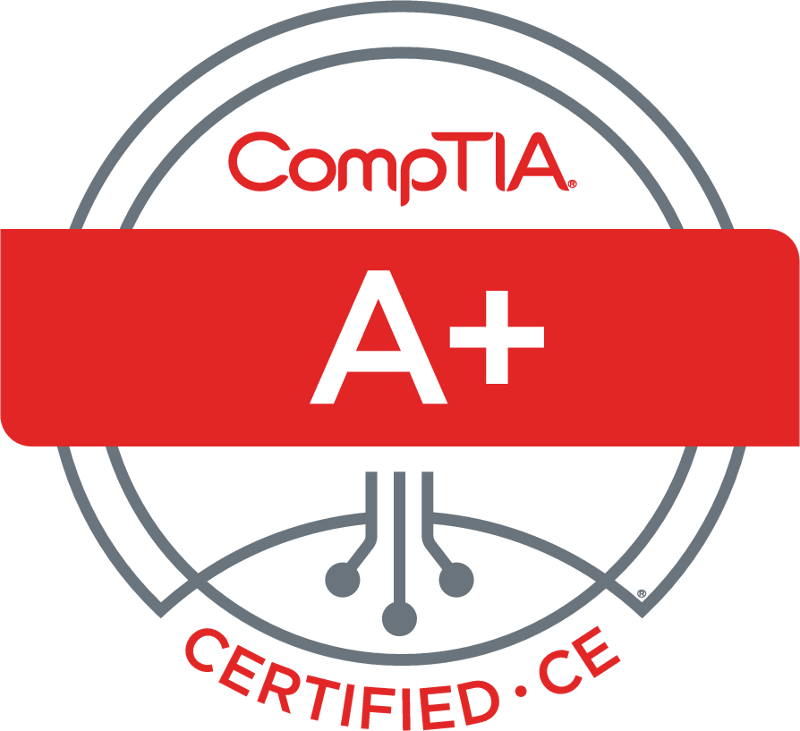 Certification validates core understanding of hardware and software technologies in an enterprise environment and verifies the skills necessary to provide support for complete information technology infrastructures.